What is also not so well known is the influence on our modern-day space technology coming from a single woman who successfully flew the first antigravity spacecraft as early as the 1920s – well before other scientists of the early days of space research. This is about a leader and a visionary named Maria Orsic. Maria Orsic stands out in recent human history here on Earth as the first person to design and lead the construction of antigravity spacecraft that flew successfully as prototypes as early as the 1920s, and later as fully functional production craft made for deep-space flight in the 1930s! Who knows exactly when, where, and in what circumstances Maria Orsic was born. Indeed little is known about her from conventional sources. Even Wikipedia deleted its page on Orsic supposedly due to lack of “reliable sources”. But this deletion lends further to an already agonizing dearth of information about this mysterious woman. There seems to be a general consensus that Orsic was born in the late 1800s in Austria. Based on what few photos there are of her on the internet, she was indeed a remarkably beautiful woman. Orsic’s early history and her later technological exploits are shrouded in secrecy, apparently for two reasons. First, she was a member of a group of “long-haired” women with extremely highly developed psychic abilities. Orsic and her colleagues channelled information from a extraterrestrial race called the Nordics. Secondly Maria Orsic was a member of a mystical group in Germany called the Vril Society. The reason for such secrecy and mysticism is a good subject for discussion elsewhere. Suffice it to say such secrecy is consistent with all high technologies that have been suppressed from the general public for decades, indeed eons. In recent years an ever-growing pool of “insiders” close to the “Secret Space Programs” provides us with information about Maria Orsic, and many other formerly hidden facets of the secret space programs (SSPs). The witnesses, participants, and researchers of these SSPs include Dr. Michael E. Salla, Phd.D., Corey Goode, David Wilcock, Michael Relfe, William “Bill” Tompkins, and Randy Cramer. The list grows longer with time as more and more people emerge to offer their testimonies. Perhaps now it is best to defer other discussion here about Maria Orsic to the excellent and exhaustive research already conducted by Dr. Michael Salla, Ph.D., who has published several books and a movie about Antarctica while citing Maria Orsic’s involvement in that continent. The following pages are selected excerpts of Salla’s book Antarctica’s Hidden History: Corporate Foundations of Secret Space Programs. 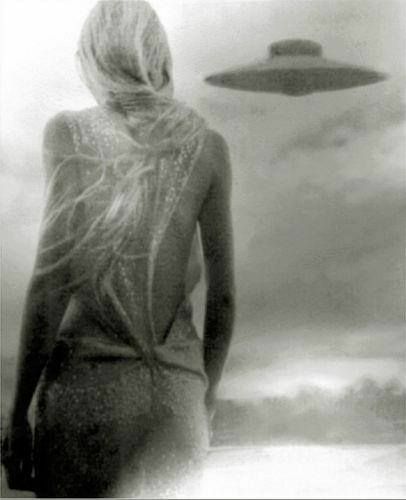 There are a number of sources suggesting [Winfried Otto] Schumann’s [later famous for his work with the Schumann Resonances] work on flying saucers began in the early 1920’s as a result of his close collaboration with Maria Orsic, founder of the Vril Society. A former CIA agent who used pseudonyms such as “Stein”, “Kewper” and “anonymous” came forward to reveal that he saw information that some Vril craft went back to the early 1920’s! He was first interviewed by veteran UFO researcher Linda Moulton Howe in 1998, and used the “Stein” and “Kewper” pseudonyms. After taping a series of interviews with her, he was eventually threatened by an unknown government agency, and withdrew from the publíc arena until returning in 2013. Stein/Kewper was now age 77 and suffering from acute kidney problems. He allegedly only had a few months to live. Stein/Kewper, now using the pseudonym “anonymous”, consented to be interviewed by UFO historian, Richard Dolan, who released his video testimony at the 2013 Citizen’s Hearing on Disclosure that was presided over by six former U.S. Members of Congress. Dolan, Howe and the Citizen’s Hearing event organizers were convinced that Stein/Kewper was a credible eyewitness to the events he disclosed. Prior to his CIA recruitment in 1958, Stein/Kewper had completed training at the US Army Signal Training Center and began working as an Army cryptologist. Stein/Kewper’s first assignment was to examine files on UFOs and extraterrestrial life submitted from the USAF base at Fort Belvoir. The files were different from the Project Blue Book files studied at Wright Patterson Air Force Base, which were eventually released to the general public. At Area 51, the first two craft we saw looked almost identical. They were smaller, not nearly as big as one in the back. Col. Jim mentioned those two were “Vril Craft”. We asked him what “Vril” was. The Col. said it was a foreign saucer built in Germany in the 1920s and 1930s. This is consistent with [Corey] Goode’s claim that the first flying saucer prototypes were developed by Maria Orsic and the Vril Society according to briefings he read during his covert space program service [during the 1980s]. Information about the Vril Society and Orsic is shrouded in mystery. No documents exist to confirm Orsic’s public activities especially when it comes to the Vril Society that she allegedly started in 1919. What is known about Orsic and the Vril society is undocumented and subject to much controversy. This is quite puzzling. It’s as though documentary information about Orsic, the Vril Society, and the involvement of [Winfried Otto] Schumann [famous for his research on the Schumann Resonances], has been deliberately swept away from the historical database. This is understandable if Goode and other sources are correct in stating that the Vril Society and Orsic successfully acquired their flying saucer designs from communications with beings claiming to be extraterrestrials from Aldebaran. If this is true, it would certainly explain why such information would be closely guarded by secret societies in Germany and elsewhere, and later become highly classified by the U.S. and other national governments. There are a number of reasons that can help explain the secrecy about the Vril society’s flying saucer program. First, Orsic was allegedly concerned that such information could be used for building advanced weapons of war by major nations, and would only share it with the right people. Second, collaborators such as Dr. Schumann would have been concerned about their reputations. They would not have wanted it known that they were using significant resources in an attempt to develop craft from mystically derived information. Third, unlike Orsic, the Nazi SS highly prized esoteric information that could lead to the development of super weapons for war. Finally, the victorious allied powers wanted to ensure that the full extent of Hitler’s flying saucer projects and weapons were kept secret. What follows is information about the Vril Society, Orsic, and the involvement of Schumann that draws on a number of available sources alleging to have witnessed documents, or received briefings about the former. While these sources are undocumented, they reveal intriguing details of what very possibly was the first secret space program of the modern era. These sources help corroborate Goode’s own information about Orsic and the Vril Society’s secrt flying saucer program. There is considerable controversy over the creation the Vril society and whether it even existed at all due to public documents, However, there is much anecdotal in about its creation and activities. These anecdotal sources claim it was created sometime in 1919, as an offshoot of a metaphysical society led by wealthy German aristocrats called the Thule Society (Thule-Gesellshaft). It is alleged that Orsic had earlier met with Sebottendorf and three other Thule Society members in Vienna in 1917 to discuss matters associated with her telepathic communications. Consequently, Thule Society leaders were aware of the remarkable telepathic abilities of Orsic, who could enter into a full trance state and was able to communicate with a range of other worldly beings. Orsic moved to Munich in 1919 and made contact with Bottendorf and the Thule Society. Thule Society leaders believed Orsic, and others like her, would have important clues for understanding and using the Vril force. They enthusiastically supported Orsic and the group of young ladies she formed around herself in Munich who were also psychically gifted. This is the period when Orsic allegedly created the “Alldeutsche Gesellschaft für Metaphysik” (Pan-German Society for Metaphysics) that was later renamed the Vril-Society (Society of Vrilerinnen Women). beings, and learning to harness the Vril force. Sometime in 1919, Orsic began channelling beings who claimed to be extraterrestrials from the Aldebaran star system. Using automatic writing, she wrote numerous pages of what appeared to be technical information in two foreign languages, one of which she did not recognize. Another prominent psychic “Sigrun”, assisted in understanding the content of the writing by getting clear mental images of a flying saucer craft. Orsic and Sigrun believed the information revealed how to build a spacecraft. Notes taken by Maria Orsic and Sigrun containing Sumerian and Templar writing. Later in 1919, Orsic and Sigrun met with members from the Thule Society, who were able to determine that one of the two languages in the automatic writing was actually ancient Sumerian. Experts were brought in to translate Orsic’s automatic writing. The translation confirmed Sigrun’s mental images, it was technical instructions for building a revolutionary type of engine that could power a spacecraft. Orsic and supportive Thule Society members arranged for various scientists to look at the translated information and determine whether it was scientifically feasible. It is claimed that Dr. Winfried [Otto] Schumann studied Orsic’s information, and believed it was scientifically feasible. Schumann and Orsic allegedly began meeting to discuss various issues associated with the construction of the craft. According to researcher Rob Arndt, the first attempt to build a prototype occurred during the period 1922-24. What is significant here is that in 1924, Schumann began his professorship at the Technical University of Munich, and headed the Electrophysics Laboratory. With private funding from Thule Society members, Schumann could have easily attempted to build a prototype from the designs Orsic provided him, without any risk to his career or reputation. After all his expertise was at the leading edge of high voltage electrostatics and plasma physics. Building prototypes based on Orsic’s designs would have provided much information about the practical application of high voltage electrostatics and plasma physics. It is claimed that Orsic channeled more information from the Aldebarans, who passed on additional information about the spacecraft itself. Schumann then put together a proposal for funding the building of the first flying saucer, a Jenseitsflugmaschine (“Other-World Flight Machine”). Schumann was allegedly familiar with the theory of Viktor Schauberger, who pioneered the idea of implosion as a fundamental natural process of energy transference – as opposed to the principle of explosion. While the implosion principle was in alignment with nature, explosion was unnatural. It was thought that by using the principle of implosion, gravity defying effects could be produced, along with new forms of energy. In a detailed biography, Schauberger’s ideas were confirmed to be a part of various flying saucer and over-unity (free energy) projects he worked on during his life. Schumann shared in Schauberger’s view according to alleged SS files discovered after World War II. In everything we recognize two principles that determine the events; light and darkness, good and evil, creation and destruction-as in electricity we know plus and minus. It is always; either-or. These two principles-the creative and destructive-also determine our technical means. Everything destructive is of Satanic origin, everything creative is divine… Every technology based on explosion or combustion has thus to be called Satanic. The coming new age will be an age of new, positive, divine technology. The Vril Society did not get the funding it needed even though German newspapers ran advertisements designed to raise money for Vril aircraft. The ads blatantly stated that they were attempting to utilize ancient Atlantean technolology, not an unpopular foreign concept to the Germans of the 1920s. with one of her Vril craft. Two special departments were set up to development of this new flying technology of the Society: U-13 and the SS-E-4. The latter was under the direct supervision of Heinrich Himmler and was known as development group number four of the Black Sun [a secret society comprising Nazi SS elite]. The main focus of SS-E was based upon the work of Viktor Schauberger. This is where the date of 1931 becomes relevant. As described earlier, the General Garland Memorandum refers to 1931 as the time when advanced aeronautical projects began in Germany that were later pursued by the Nazi government. Similarly, Dan Morris refers to two UFO/flying saucer recoveries in 1931 and 1932. A plausible explanation is that these were prototypes being developed by Schumann. Certainly his scientific expertise and subsequent work with Operation Paperclip at Wright Patterson AFB made him eminently qualified for such an undertaking. Most relevant here is asking what precise role did Orsic and the Vril Society play in the flying saucer research very likely undertaken by Schumann in the 1920’s and 1930’s? were shown her photo they identified her as the same person that they had met from the Flying Saucer. As mentioned earlier, the former CIA agent who used the pseudonyms “Stein” and “Kewper” in interviews with Linda Howe, said he also saw documents detailing the involvement of the Vril Society in Nazi Germany’s efforts to build spacecraft. He revealed the content of one file that discussed Vril technologies and the relationship with extraterrestrial life. It did say there were mediums who had contacted aliens and there were messages from aliens about how to build the levitation device for the anti-gravitational engine. In recent years information from new sources comes from an ever-growing number of “insiders” close to the “Secret Space Programs”. One such insider is long-term veteran William “Bill” Tompkins, who worked for decades for various US companies in the secret design of antigravity generators, non-conventional (non-explosive) propulsion systems, and the actual spacecraft themselves. Many of these technologies are purportedly still in use today by covert space programs operating within and well beyond our solar system. Journalist and exopolitics researcher Kerry Cassidy of Project Camelot interviewed Tompkins, who provides some testimony about what he knew of Maria Orsic. Such a large and unusual operation taking place in the civilian sector of Austria would no doubt attract the attention of the authorities, which at that time was Hitler’s intelligence arm (Waffen SS) operating separately from the German Nazi Party. Upon its discovery, Orsic’s operation was shut down or possibly even taken over for some time by the SS. However, for some reason it seems Hitler had a change of heart and allowed Orsic and her people to continue their work whilst Hitler and the Nazis continued separate propulsion and spacecraft design projects (mainly in Antarctica) in cooperation with a not-so-friendly ET race called the Draco-Reptilians. Some of Orsic’s bases of development and operation not only included her native Austria, but also included facilities in Antarctica. As time goes on, discussion continues to grow and home in on Antarctica. There is much much more to the icy continent than the general public has been led to believe. To read more about Antarctica’s baffling history and Maria Orsic’s involvement, read Dr. Michael Salla’s book Antarctica’s Hidden History: Corporate Foundations of Secret Space Programs. During World War II, a young Tompkins worked for the US Navy, assisting Admiral Rico Botta in debriefing approximately 30 US Navy spies surreptitiously embedded in Nazi Germany’s secret weapons development programs. Some of these men reported incredible stories of otherworldly weapons and technologies including spacecraft with inexplicable propulsion systems that nevertheless somehow flew. The following paragraphs are selected excerpts from Sala’s Antarctica book The US Navy’s Secret Space Program and Nordic Extraterrestrial Alliance in a chapter titled “Nazi Germany’s Antigravity Programs & Extraterrestrial Alliances”, which sheds intriguing details on Maria Orsic’s war-interim and post-war activities. What the naval operatives were reporting during their nighttime debriefings was completely unexpected, even astounding according to Tompkins. Admiral [Rico] Botta and the three Navy captains could hardly believe what they were hearing. Tompkins says the operatives discovered that up to and during the World War II, there were two independent flying saucer programs under development in Nazi Germany. The first was largely a civilian effort that predated the Nazi rise to power in 1933, while the second was led by the Nazi SS. Tompkins said that the civilian German space program had been inspired by a Nordic group of extraterrestrials, who were communicating through young female German mediums. In an interview, Tompkins confirmed that the leader of this group was Maria Orsic. A stunning physical likeness between her and one of the Nordic aliens Tompkins says he met while working at Douglas Aircraft Company will be discussed in chapter four. …when the military found out about Meier’s case, they sent people over with some photographs for him to try and identify the female being he saw. He quickly pointed out one photograph, saying, “That’s her! That’s her!” Apparently the photo he pointed out was of Maria Orsic, the medium from the Vril Society, who was making contact with inner-Earth groups, and who played an intimate role in the pre-and post-World War II German secret space program. Orsic was allegedly sharing ideas and theories with leading inventors such as Nikola Tesla and Guglielmo Marconi. As mentioned earlier, Marconi headed the Italian Flying Saucer study group formed by Mussolini in 1933. Due to his association with Orsic, Marconi became aware of how advanced the civilian run German Secret Space program had become. After passing on some of this information to Mussolini, who was likely influenced by it to form an alliance with Hitler, Marconi decided to fake his death and disappear to South America to set up a civilian flying saucer program. Tompkins went on to explain that there were many inspired by Orsic’s information, and/or the alleged Aldebaran extraterrestrials she was working with in the 1920’s and 1930’s. The goal was to build vehicles capable of deep space flight using principles of teleportation, and to even travel to the Aldebaran star system. Some time after his service with the Navy, Tompkins began work with the private sector in 1951. The following are excerpts from Salla’s book in a chapter titled “Nordic Extraterrestrials Infiltrated Douglas Aircraft Company”. I tried to explain to John that Jessica has never said that she is a Nordic, even though exposing her unbelievable knowledge of the universes. And yes, she frequently stuffs my head with exactly what is needed on a program. When I implement the plan it works every time. Upon seeing a photo of Maria Orsic, which Tompkins saw for the first time on page 67 of the book “Insiders Reveal Secret Space Programs and Extraterrestrial Alliances” (2015), he was startled. This is because she looked exactly as he remembered Jessica, the Nordic extraterrestrial who had infiltrated Douglas Aircraft Company as a secretary. Tompkins’ claim, that the Douglas Aircraft Company has been infiltrated by three Nordic extraterrestrials, is supported by ample whistleblowers and private citizens that claim human-looking extraterrestrials have successfully integrated into all facets of human society, including the most senior levels of the world’s military, including NATO. She [Orsic] had two other girls who she actually knew from when they were just kids. So, the three of them were sort of the principals of initiating all this effort in the 1,442, whatever, people involved in that first build (of the civilian space program]. Those were like hundreds and hundreds of people that were brought into this thing later on and developing all this, but none of them, to my knowledge, went to Antarctica like the pretty girls did. So, it’s a massive amount of information. Space transports, different programs. Her involvement with the SS, Michael (the author], she started it, okay, because the Nordics gave her the information originally and this was like a year before anything was picked up with the SS. There were two separate programs going, hers and the SS. And then when the SS finds out about her and everything that she’s getting and doing, they confiscated everything that she had, and all the people that were working for her, with her. And then somebody got smart over there on the SS side and said, “Hey, this is the second group of extraterrestrials, not just the Nordics, the Reptilians that are helping us, but we got Nordics too.” So, they gave everything back to her. Okay? She was allowed, Michael, to – She didn’t want anything to be military. And of course, the only thing the sS wanted, The Third Reich, well, was all military, but here were two separate areas found out about. She has obviously made it to the Antarctic Bases/Cities… I do know that these “Societies” were very much the backbone of what survived the war and who were in control of the facilities along with the group they believed was ET, as well as the [Reptilian] Draco Federation that they allied themselves with. It would be a mistake to consider the German Space Program in Antarctica as exclusively militaristic, exploitative of slave labor, and intent on galactic conquest. This is because of the Orsic/Vril Society faction that also operated both in Antarctica and in South America from smaller German bases. Orsic’s antipathy towards militarism and the Nazi SS led to her far smaller space program which took a very different approach in interacting with the rest of humanity. She would attempt to disseminate a galactic philosophy of peace and unity, and help raise human consciousness. In this effort, she was helped by like-minded human looking extraterrestrials; the Nordics. Together, Orsic and the Nordics played a significant role in launching the Space Brothers movement in the 1950’s. Of the German Secret Societies (including Thule, Black Sun and Nazi SS) ruled by a male dominated hierarchy, the other space program was led by Maria Orsic and her Vril Society which, to the contrary, was governed by women. Indeed, Orsic was adamantly opposed to the Nazi war effort and militarizing flying saucer technologies as attempted by the Nazi SS. Orsic’s lack of assistance towards the war effort was noted by Himmler, as pointed out in chapter one but his protests were rebuffed by Hitler because he recognized her knowledge and extraterrestrial connections as highly valuable to the emerging German space programs. Germany found out about the blonde [Orsic], took her over, stopped everything, and then got to this point where there was some sort of pressurized program by the SS to control that original group. Now, several times they did work together, but Hitler allowed them to operate independently of the whole SS program the whole development. So we had two developments going on in Germany. The girls didn’t want their vehicles to be used for anything else but travel. They were afraid that somebody would get a hold of it and they’d use it for military, which is, of course, what they got. Orsic was deeply dedicated to learning about extraterrestrial life in the galaxy and cosmic philosophy, as evidenced in her psychic channeling of beings from the Alderbaran star system. This strongly indicates that the craft photographed by Adamski belonged to the Orsic/Vril faction of the German secret space program operating out of Antarctica. 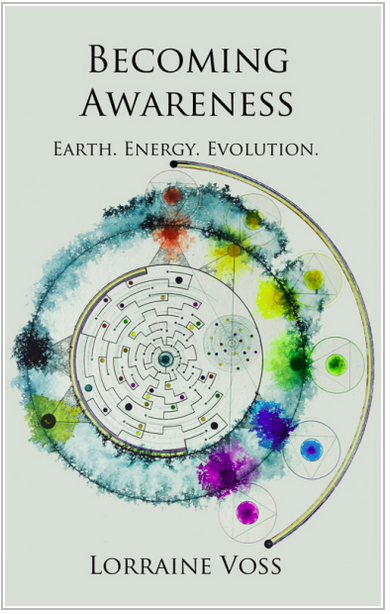 to start promoting a cosmic peace and unity message. So, were the “Space Brothers” that dominated the 1950’s UFO literature converted Germans who had spent decades learning cosmic secrets in deep space during their mission of advanced space-time travel? Many in the Intel Community became quite convinced that Maria Orsic was one of the “Blondes” that would land in UFOs and talk to people in German pretending to be an ET from another star system. When some of the witnesses were shown her photo they identified her as the same person that they had met from the Flying Saucer. She has obviously made it to the Antarctic Bases/Cities where she was taking part in a program using the Nazi’s Flying Disk technologies to spread disinformation through some contactees. unintelligible to Adamski. Was the “strange dialect” High German which another contactee, Reinhold Schmidt, identified as the language used by the spacecraft occupants during his 1957 contact experience? Schmidt had German parents and was also taught High German at school, but Adamski may not have been able to identify a German dialect since his background was Polish-American…. Apparently the photo he pointed out was of Maria Orsic, the medium from the Vril Society, who was making contact with inner-Earth groups, and who played an intimate role in the pre- and post-World War ll German secret space program…. The material examined in this chapter suggest that the George Adamski contactee case, as well as the Wannall and Schmidt cases, were very likely real encounters by U.S. citizens who interacted with members of a German Space Program operating out of Antarctica. Both the occupants of the flying saucer craft, as well as the U.S. military, hid the German connection and encouraged belief in the extraterrestrial hypothesis to explain their origin. Additionally, the Billy Meier contact case almost certainly involved contact with the Orsic faction of the German Antarctic Program. This made the establishment of multiple secret space programs possible in the remote regions of South America and Antarctica. The first of these was the Vril Society program run by Orsic, which maintained its benign “spiritual” vision and operations, as evidenced by the 1950’s and 1960’s Space Brothers phenomenon. Orsic and other German astronauts pretended to be extraterrestrials while meeting with many ordinary civilians in the U.S. and other countries. Orsic’s Vril Space Program hoped to seed ideas of cosmic unity and higher consciousness to help start a global revolution. They were helped by human-looking “Nordic” extraterrestrials and Inner Earth beings who shared these benevolent “service-to-other” goals.